Crimson Ride- You will be able to view if a Crimson Ride route is located on your route. Driving – Choosing this option will display the miles and time it would take to drive to your destination. Ride Amigos will also allow you to set up your own car pool and share it with fellow UA students. Walking – Displays the miles and time it would take to walk to your destination. Biking- Displays the miles and time it would take to bike to your destination. It also displays if there is a bike path on your route. 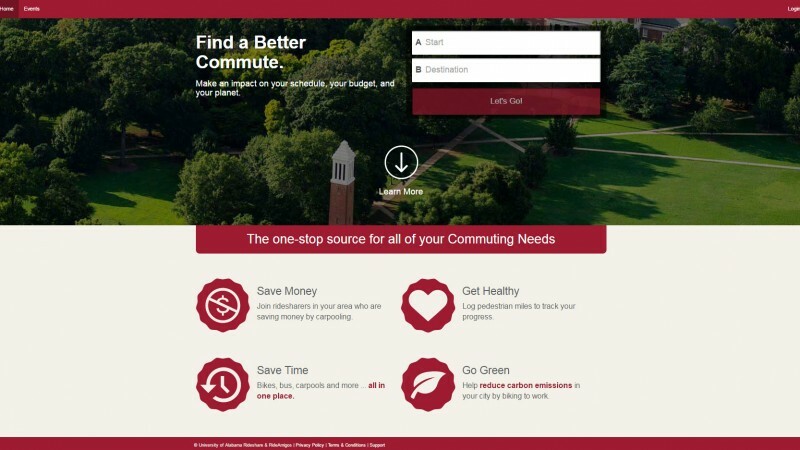 In addition to carpooling it will also allow students to view other transportation options that may be on their route such as the Crimson Ride.